Small Business Ideas for Beginners – Do you want to become an entrepreneur by starting a small business? If yes, here is a list of 30 Best Small Business Ideas for Beginners. Well, starting a business is a tough task especially for the beginners. You need to get yourself aware of documentation, licenses, legal aspects, tax, financial, managerial and other aspects of the business. Apart from this risk involved in business is also high. So, for the beginner, it is always advisable to start a small business with low investment and less complexity. 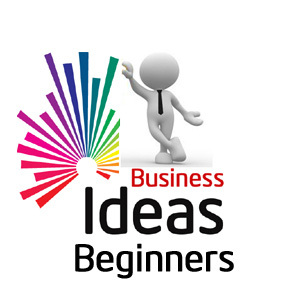 If you are beginner here is 30 Best Small Business Ideas for you. These business ideas are independent of geographical restriction and can be started anywhere. First business idea for the beginner is blogging. Blogging is easy to start & small investment business idea. In this business, you need to purchase a domain name and hosting space. You need to start blogging by writing niche content as per your area of interest. Once your blog is popular you can monetize it using direct advertisement or Google Ad sense. Affiliate marketing is next in the list of best small business ideas. Under affiliate marketing, you need to become an affiliate of various online companies selling product and services. You need to promote product and services using WhatsApp, Facebook, email or website. You will be paid commission based on sale of product & services. Starting a YouTube Channel is no investment small business idea for the beginner. In this business, you need to create unique videos on various topics. You can shoot videos via camcorder or you may use software to make videos. You need to post videos on your channel. On gaining popularity you can make money via advertisement or paid sponsorships. If you are good at writing you can become an ebook author and make a lot of money. In this business, you need to write a book on various topics and publish online. You have to be good at writing skill in order to succeed in this business. Online teaching is a new concept. You can make a lot of money online by becoming an online tutor. In this business, you need to teach students online. You can either use YouTube or you can start your own website for doing this. Selling your own stuff or product online is one of the simplest forms of a business idea for the beginner. You can use readymade online store for doing this. You just need to select the product, upload the detail. You will be paid for selling products. Stock Market Trading is a risky business idea. In this business, you need to buy and sell stocks for earning a profit. This business idea requires a lot of knowledge about the stock market. Apart from knowledge, this idea also requires capital. The next online business idea is an online book library. To establish this business, you need to do investment as you need various books. You can keep subscription amount or membership fees along with a deposit for online book library. Online Toy Renting is a unique online business idea. In this business, you need to rent a toy to the subscriber for a certain period. The toys are rented to only paid members. It seems to be a lucrative business option. If you are good at taking photographs this idea is for you. In this business, you need to sell exclusive photographs online. You can make use of a website for doing this. It is a very good business idea. You can earn a lot of money via this idea. Buying and selling domain or flipping domain is among one of the best small business ideas. You can earn a lot of money via this idea. However, you need to be careful in selecting the domain name and service provider offering these services. Some legitimate websites offering a buy and sell services are Godaddy, Freemarket, and Sedo. Social Media Marketing is next in the list of best small business ideas for the beginner. In this business, you need to create and promote the content of associated company/person. You need to increase social presence/increase fan base. You will be paid with fix amount. You need to be experienced enough to start a social media marketing business. A freelancer is a self-employed person offering services, usually to multiple customers at the same time. Freelancer operates on own. A freelancer sets his own service menu, price, and target market of clientele. There are many opportunities available online for freelancing. You can make a lot of money via freelancing. The next business idea is about starting a web hosting company. A web hosting company deal in providing domain name and hosting space to the customer. If you are from IT background with the skillset to run web hosting services, you can start this business. A requirement of SEO is growing at a faster rate. Search Engine Optimization is a specialized field. Many online companies opt for SEO services. If you are very good at Search Engine Optimization you can set up your own business for providing SEO Consultancy. In this business, you need to work towards increasing search ranking of the website. Starting a coffee or tea shop is a very good lucrative business option. The investment required for this business is very low. Tea or coffee shop is a place where a customer comes to relax. If you can provide a good ambiance with a good taste of tea & coffee with a reasonable rate you can succeed in this business. Starting a food truck is next in the list of small business ideas. It is a unique concept where truck or vehicle is modified for food truck requirements. In this business, you need to serve tasty and healthy food on the move. You can also select a specific place for parking food truck and serving customers. Another food-related business idea is starting a fast food shop. It is a very good profitable business option. In this business, you need to take a shop on rent and start selling fast food. Make sure that you are serving tasty and healthy food. Home cleaning is considered as one of the easy business ideas for the beginner. In this business idea, you need to take a contract of house cleaning and arrange manpower for the same. Managing unskilled manpower is a major challenge in this business. Courier or Delivery service is the next business idea for beginners. The task of a courier company is to deliver things on time at a different destination. It is recommended to go for a franchise of reputed company in the beginning. Tuition class is the next business idea for the beginners. This business can be started from home with minimum or no investment. You should be very good at teaching and learning in order to start your own tuition class. Opening a child play area is next in the list of small business ideas. In this business, you need to establish a unique concept of a children play area. You can use readymade video games, jumping etc. or you can go for designing play area on your own. The investment required for this business is high. Small companies and self-employed people are always searching for a good accountant. If you have skills in managing accounts, you can start accountancy services. At the initial stage, you need to struggle a lot for getting success. Starting own real estate agency is among one of the best business ideas for the beginner. In this business, you need to help property buyer and seller in completing property deals. It is a low investment business and it can be started from home. Recruitment service is the next business idea. In this business, you need to help the job seeker to find out a job. You can demand fixed money or commission from the candidate. If you are good at cooking you can start own homemade food business. This can be either a tiffin service or snakes. You can opt for door delivery or open small food center at the nearest place. Starting own insurance agency is next on the list. In this business, you need to sell insurance policies to the customers. You will be paid with a commission on the sale of every policy. You can opt for a specific insurance company such as LIC or you can even opt for multiple insurance companies. It is a zero investment business. Tiffin service is the next small business idea. You require a good cook for making the food. You will also need manpower for the delivery of Tiffin. MLM or multi-level marketing is the next small business idea. It is a low investment business and can be started by anyone. In this business, you need to sell the product and services of the affiliate company. You will be paid with a commission on every sale. You can start your fruits and vegetable farming business even in the courtyards of your house or at a terrace. It requires very small capital and there is no qualification required for farming. The demand for fresh vegetable and fruit is very high. I hope the above information will surely help you in the selection of the right business. Well, before starting a business, I suggest checking your readiness. Consider the following factors to check your readiness. Skill set required for the business. Evaluate business ideas based on all these critical factors and arrived at an informed decision about starting a business.